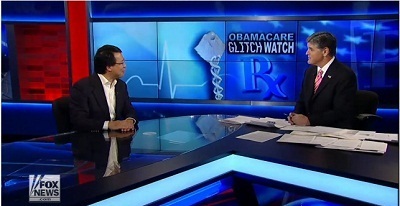 Starting with FMS President Luke Chung's national discourse on the Healthcare.gov web site, he has appeared numerous times on the Sean Hannity TV and Radio Shows. How text messages are stored on a sender’s/receiver’s device, unlike emails which on stored in a central server. Hannity traveled to London to interview Assange at the Ecuadorian Embassy where he’s seeking asylum. They discussed an overview of Assange’s role as founder of WikiLeaks, and their obtaining and publishing the emails from the Democratic National Committee the weeks before the US Presidential election. Some people attribute Hillary Clinton’s loss to the revelations in those emails especially from John Podesta, the former White House Chief of Staff and Chairman of the Clinton campaign. They are also accusing the Russians for hacking (stealing) and providing the data to Assange so Donald Trump could win the election. 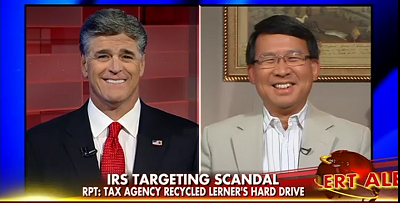 How did the IRS not have backups and lose Lois Lerner's emails and other files? Who came up with their backup and disaster recovery plan? Wrong policies, incorrect execution? Incompetence or intentional? 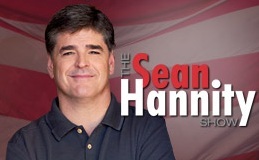 A 3.5 minute live interview with Sean Hannity in New York with Luke at their Washington, DC studio. S: The recycling of Leaner’s hard drive is significant because now, according to the Obama administration, it is likely her emails, which may have been recoverable after the 2011 computer crash will never be found. How convenient. Now luckily my next guest is a computer expert and is here to tell us if those claims are in fact true and accurate. So with me is FMS Inc. President, a friend, Luke Chung. You may remember Luke. You told us at the time that the whole Obamacare website was being unveiled that you could have built a better website for about a million dollars. I remember that quote. I’ll never forget it. L: Thank you very much for having me back. S: OK, let me put up on our screen for the people at home. This is a diagram showing the various locations of documents from a server. You know it’s pointing to a BlackBerry, a computer, etc. This goes to my question to you Luke, that is for example everyone’s focused on the hard drive crash but again I have multiple email accounts. In my multiple email accounts, I can get every one of those emails on my iPhone, my iPad, two work computers, a home computer, my wife’s computer or any computer I’m using. Why are they focused on the hard drive so much and do you believe that these are not recoverable? L: You know it really comes down to what their policies were on preserving old data. So, yeah maybe they’ve they lost it. Maybe it was due to bad policy, maybe it was due to bad implementation of back-ups and things they should have done. With regards to the data in emails you talk about in multiple devices, that means the data is stored on the central server. So whether it’s on your mobile device, laptop, PC, whenever you connect, you get the emails that are on there, so it’s not really saved as a master copy on your desktop. S: So you think this might not be recoverable is what you’re saying; because there are federal agency record keeping record here (pointing to a list of requirements). You've got requirements for emails; you keep names, addresses, timestamps. You keep the attachments, they've gotta be preserved. You got to retain the full names on directories or distribution lists so to answer your question, there is the answer. They’re supposed to keep them. L: Right, the way you analyze this is like analyzing a crashed airline jet. What were the policies? What were the things they were supposed to do? Are those the things you’re supposed to do, right? Maybe the policies are wrong or you did not implement the policies correctly. And it’s my understanding that they had a six months backup retention policy at the IRS. S: Yes, I just, in this day and age, sort of like the website when we had you on back in the day when the website was unveiled and what a disaster that was, 400, 600, 700 million dollars spent on this thing and they can’t get it right, I’m just trying (short pause). Why do I know that every email that I probably sent in the last ten years is probably recoverable, but not Lois Learner’s email during the important period. How convenient, right? L: Right, well it seems like the emails should be recoverable; but you know probably what isn’t recoverable is other files she had on her hard disk, Word documents, spreadsheets, whatever; those may be the only copies. The other area that needs to be explored is she may have sent email on other platforms that weren’t the government email system. S: They can’t build a website so the idea that they’re going to find who she wrote, check their servers, check their deletions. It’s one big mess, but Luke thank you. I wish you did build Healthcare.gov. L: Thank you for having me. A more in-depth 14 minute discussion with David Kennedy on the radio show. Luke starts about 2:30 after the introduction. "It's just an awful website...As I was using it, the system kept crashing on me. And as soon as it started crashing, I was like 'Oh, my God, this system is not ready for prime time.' The types of crashes I was experiencing had nothing to do with too many users. It was just bad...They had developers who I sensed had never been paid to create software before. It was really amateurish. It looks like it was their first job...The programming was really bad; it looks like it wasn't tested, and even if they had programmed it properly and tested it, the design was wrong. So it really didn't matter whether they did it right...They haven't thought through the buying process...$200 million at $200 an hour is a million man hours, 500 man years. How did they have time to use 500 man-years? Or triple that, 1500 man years..This is just filling out a paper form and getting a subsidy...It shouldn't be that complicated." Appearing with David Kennedy, Luke Chung discusses how the Healthcare.gov web site should have cost less and been designed with security up front. "The user interface is just the automation of a 12 page paper form. That is a slam dunk for any web development company. It is very easy to do, very straightforward. And then the back end stuff is more complicated but certainly very doable. This does not need to be a Silicon Valley space project. This is bread and butter business application web work." "None of these contractors are ever held accountable for delivering such crap"
HOW MUCH Did that Website Cost?? What’s a few hundred million dollars between friends? October 18, 2013: Luke explains the problems with the Healthcare.gov web site for Sean Hannity in this interview (15 minutes). "Thanks! FMS products are extremely powerful, unbelievably stable, great timesavers, easy to learn, and an absolute pleasure to work with!"